This popular series of free outdoor concerts is held in one of the most spectacular waterfront settings in Los Angeles, Burton W. Chace Park. This event gets fairly full, so if you must SEE the performance, then bring your blanket early to stake out a good spot. Most people however don’t really care about watching the musicians and instead faced out to the water to enjoy the boats coming in and out of the marina. Tentative performance schedule below. All concerts take place outside on the lawn at Burton W. Chace Park (10-acre park surrounded on three sides by water). Audiences are invited to picnic in advance of each concert. Bring low beach chairs and blankets for first-come, first-served seating. 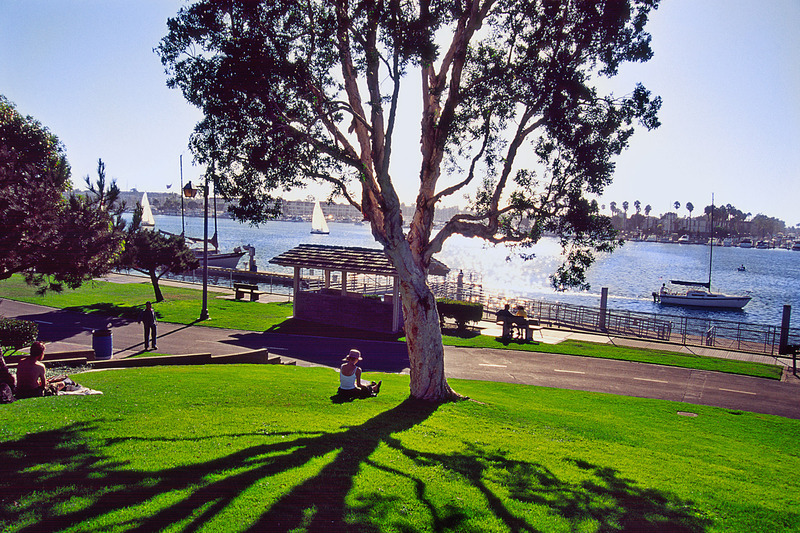 Come early for best seating, and bring along a jacket or sweater to stay comfortable at night near the water. Limited disabled parking is available in all public lots. Concert parking is not allowed in Waterside Shopping Center. In support of the four Thursday evening classical concerts, the Marina del Rey Summer WaterBus operates from 5 p.m. – Midnight those evenings. It will also be operating as scheduled (11 a.m. – Midnight), for each Saturday performance. Also supporting the Thursday evening classical concerts, the Marina del Rey Summer Weekend Beach Shuttle will operate from 5 p.m. – 10 p.m. those evenings. It will operate as scheduled (10 a.m. – 10 p.m.), for each Saturday performance.